Este es un grabador que cumple son su función aceptablemente: permite grabar la pantalla completa o solo una sección de la misma, con sonido o sin él, tomar capturas de pantalla, grabar juegos,..., y guardar los archivos en diversos formatos a elegir por el usuario. Existe una versión gratuita y una de pago, y la diferencia principal estriba en la marca de agua (que pone Icecream) que aparece en las grabaciones de la versión básica. Si lo único que quieres es grabar lo que ocurre en la pantalla como precaución, dicha marca de agua no importa; pero si piensas por ejemplo subir vídeos a internet ya sería más molesta. Me decepcionó un poco que no hubiese forma de evitar la marca de agua (que además es de unas dimensiones considerables) ni siquiera en vídeos cortos. Para uso privado no tiene mucha importancia, pero para un uso más "profesional", obliga a ir a la versión premium. Puedes probarlo a ver si se adapta a tus necesidades. La versión de pago puede usarse a nivel empresarial para dejar constancia de lo que sucede en los equipos. Cuando realizo una compra por internet, o cuando quiero dejar constancia de algo que está pasando en la pantalla de mi ordenador, recurro a este software que me permite grabar la pantalla (o una parte de ella). Ofrece versión pro y free (que salvo que la quieras para un uso muy profesional, es suficiente). Yo utilizo la versión gratuita, y creo que la principal diferencia es que incluye una pequeña marca de agua en la esquina (que pone Icecream), que al menos para mí no supone ningún problema. Este software te permite renombrar los vídeos o usar el nombre que les asigna el programa por defecto, y puedes guardarlos en diversos formatos. Además puedes elegir si grabar también el sonido del micrófono. Algunas de las opciones que ofrece son complicadas de entender (al menos para mí que no soy experto en informática). Yo uso los parámetros que trae por defecto para evitar problemas. Es un sofware muy ligero, que merece la pena tener en tu ordenador. Te permite dejar constancia de las operaciones que realizas, tal y como se reflejan en la pantalla del PC. The best part of this software is that you can not only record your screen but also convert your file into GIF or any other format of your choice. Previously I was using separate tools to record and convert a video. You can also record audio and take screenshots from this. One of the biggest issue I faced is that the call-to-action buttons are not very visible and I each time I have to figure out the position of the buttons. I also feel that the quality of the converted gif is not very good. I think this is one of the most widely user software for screen recording and I would definitely recommend designers and animators to use this based (based on my experience). We use this tool to send screen recording to clients and developers. I think that you can use this software for both recording and converting the recorded video to GIF especially for uploading online. "Best Software For Screen Recording"
It have Good GUI with Cooling Color combination and easy to record your computer screen. Easy to install and easy to record screen and take screen shot. Pro version of Ice cream screen recorder is quite expensive for small startup. Yeah, I would suggest to my Friends. Now, Using Ice cream screen recorder I can easily record my own screen as demo version of any software installing and make video for educational purpose for my clients. Icecream is great for streamlining all recording capabilities. While it's not 100% necessary, it is very helpful. The best part of this software is that you can not only record your screen but also convert your file into GIF or any other format of your choice. Previously we were using separate tools to record and convert a video. The pro service is a bit pricey for the value you get. Additionally, in terms of video there is the option to trim the video from beginning or end but there is no option to cut out parts from in between. Start by using the free version! Considering that you can accomplish many of the same functions as Icecream Pro, you really have to figure out if the full value is there if you were to purchase it. However, it is a good service to streamline all recording capabilities and can be used well for both internal and external communication. It has just made it easier for us to take screen grabs and videos. It's been very useful internally, particularly with more employees working from home, as well as externally with clients. Previously it wasn't as efficient or clear to communicate with them if we weren't in the same room as each other. 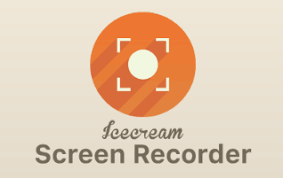 "Icecream screen recorder - One of the most beneficial tools available for screen recording"
Unlike the other screen recorder, this software allows you to select the area that you want to record. It also offers the drawing panel tools that are highly beneficial. The most interesting feature is the "around mouse screen recording". It gives users' the option to trim the video from beginning or end but there is no option to cut out parts from in between. This is a great tool to use. Explore all the features especially the "zoom in while recording" and "around mouse screen recording". I use it both for professional and personal use. I use it for creating tutorials. I also use it for capturing screenshots. It is an extremely beneficial tool. Most important characteristic for me is the "around mouse screen recording". "Great product with the paid version "
Very easy to use and I like the way it saves all the files. I can always go back and retrieve anything I have captured very fast. The editing of the screen grabs is also top notch. The free version wasn't very useful and I couldn't get a real feel of the product until I upgraded it which almost made me go to someone else. It has just made it easier for us to take screen grabs and videos. "Experience in using Icecream screen recorder"
It provides all of the functionality of more well-known models. This variant is highly intuitive and is perfect if we use multiple browsers during a typical Internet session. Its really helpful tool for presentations and video tutorials to upload on youtube or anywhere. Easy screen supportive! All the software freaks out there do use this for recording video tutorials. Really a useful tool. I use this icecream screen recorder to record my video tutorials and upload on youtube. "Nice screen recording app "
Small and does it’s job. I personally like the interface and it’s ease of use. Having the ability to record on screens steps for instructional videos is great! I can simply and quickly capture a screen shot or video file. I am use to Jing so this is a little more complicated than I am used to. * We monitor all Icecream Screen Recorder reviews to prevent fraudulent reviews and keep review quality high. We do not post reviews by company employees or direct competitors. Validated reviews require the user to submit a screenshot of the product containing their user ID, in order to verify a user is an actual user of the product.